With deep roots in the Philadelphia community, more than 100 years directly from Thomas Edison’s work, PECO is an electricity and gas utility company included to the Exelon Corporation. 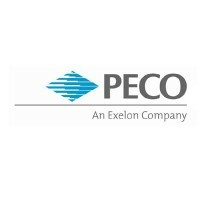 Choosing to fill in a PECO application is a wise employment decision since they are the largest distributor in the area, supplying 1.6 million electric consumers and over 500,000 natural gas consumers. PECO operates according to six rules, meant to guard the interests of its customers, the community and the environment: safety, integrity, diversity, respect, accountability and continuous improvement. Its efforts towards ensuring the safety of employees and clients have granted PECO the title of Pennsylvania’s safest utility from the state Department of Labor & Industry. The 2,400 employees diligently work over a 2,100 square miles service area, in 500 substations and maintaining at optimal parameters 29,000 miles of distribution and transmission power lines. Regarding the gas distribution, there are twenty-nine gate stations and 6,600 miles of underground gas mains. The counties covered by PECO are Bucks, Chester, Delaware, Montgomery, Philadelphia and York. To fulfill the promise towards protecting the environment, PECO Smart Ideas were initiated, which are energy efficiency programs. These smart ideas include light bulbs that employ up to 75 percent less energy all while lasting 10 times more than regular bulbs, rebates paid to customers who buy energy-efficient household devices and monetary enticements given to clients who permit PECO’s employees to pick up their junk refrigerators and freezers. PECO invests in Earth’s future through the conversion of 60 percent of its vehicle fleet to hybrid or biodiesel, through $15.3 million directed towards protecting and preserving green spaces and through Smart ideas, which saved customers $268 million, cutting energy spending by 1.2 billion kilowatt hours. If these reasons kindled interest, a PECO application link, at the end of this article, will show you how to apply for PECO online. PECO is a well establish Pennsylvania firm that rewards its staff loyalty through competitive salary base, bonuses and health and pension benefits. Other perks include personal days, paid sick leave and holiday pay. Those thinking to apply for jobs at PECO should know it’s a 24 hours a day, 7 days a week company with a “minimum 18” answer to “How old do you have to be to work at PECO?”. The company employs on a full-time basis but also on a part-time basis. There is a diversified selection of PECO careers to consider amongst which are customers service representative, meter reader, administrative assistant, engineer, training instructor, environmental chemist, technical analyst, staff auditor, project manager, procurement specialist, human resources generalist, production technician, field service leader, accountant, supply chain architect engineer analyst and the list can continue since it’s such a vast company. The entry-level PECO jobs focus mostly to fill demand for the call center and the field positions which demand people skills. The call center employees need to demonstrate customer service ability as to successfully deal with customer enquiries, complaints and billing queries. The field jobs are a good match for those who are physically fit, acquainted to the local area and depending on the job, holding a technical certification. Such a wide spread company needs experienced personnel to coordinate departments, organize logistics, manage the distribution and plan for the future. Senior staff should have a high level education degree, good references and a working history that can prove stellar decision making and effectiveness in organizing and communicating. Other requirements may include further screenings, trainings and relocation prior to receiving the job. Meter Reader – Meter readers represent the company in the field. Hence they must excel in showing customer care skills. Their main task is to read residential, commercial and industrial meters. They also have to spot faulty equipment, tampering with the meter reading or location. The basic job requirements are holding a clean driving license and being fit to work outdoors for long periods. The maximum hourly pay is $22.00. Customer Care Representative – Candidates considering a job as customer care representatives need to show perseverance, very good communication skills and be familiarized with company policy and products. They should be available for shifts, especially if they are working in the call center which can get quite busy. The average pay for this position is between $12.00 and $15.00 per hour. General Facilities Mechanic – The role involves responsibilities of keeping within safety parameters all equipment and sites. Applicants must prove that they can assess situations individually and use the appropriate measures to rectify the problems. The minimum education level for this employment is high school. Further requirements are: owning a full clean driving license and giving a track record of at least three years in a similar position. General Engineer – Being a general engineer for PECO means being able to research, create reports, plan, design operate and sustain the distribution on electricity and gas. Anyone interested in such a position should hold a B.S. in Engineering or be a licensed professional engineer, be up to date with the field’s standards and modus operandi and having no less than five years of experience. When the PECO jobs online search has generated an interview invitation, one might consider the following questions. What made PECO stand out among the utility companies when considering an application? When replying to this question, the candidate will demonstrate seriousness by having researched PECO and its position in the market. This is a general question that can be asked at any interview for any level in this firm. When should a client complain? This merits an answer similar to “the customer is always right”. It reflects on how much the applicant respects and acknowledges the importance for the development of the company of having satisfied customers. Do you see yourself as having a future within PECO? Meant to determine your loyalty degree, this can also prove a good exercise pre-interview to demonstrate compatibility with the advancement positions that the company could offer. How do you handle pressure? This question could be used mostly for interviews for field positions. The gas and electricity industry requires special care and strict safety measures as accidents can have devastating outcomes. Therefore, the candidate should be able to prove capable of carrying out his duties in unfamiliar backgrounds as a client’s home or when dealing with the aftermath of a natural disaster. Can you give us an example of a situation in a previous employment when while working as part of a team you came up with an idea which got implemented? This question is designed to measure your ability to work within a team all the while demonstrating initiative and inventiveness. Make sure to choose an example that will not constitute as a breach to a non-disclosure you might have previously signed. Even before applying for PECO jobs, one should carry out a thorough research as to make sure that the company is a good fit for him/her. Once the decision has been made, a printable application for PECO should be downloaded and careful consideration should be given to completing it. A detailed and correct application form will substantially increase chances for an interview. If the company has extended an interview invitation, the candidate should take a look at the resume and prepare a short paragraph of his/her education, work history and major accomplishments. The interview attire should also be chosen carefully as to inspire confidence and show respect for the milieu. Prepare copies of your resume and references to bring along to the interview. During the interview, be polite, use an appropriate tone and demeanor and show a positive attitude. Be precise in the answers you give and don’t forget to ask adequate questions about the company and the position. At the end of the interview, don’t forget to thank the interviewers for seeing you. The follow-up email used to express your delight for the way the interview was conducted is the next on your to-do list after which you can wait for the company’s reply. Labor Finders: Checkout the application page for work at Labor Finders. Suddenlink: Visit the Suddenlink application. Pridestaff: Visit the job application for Pridestaff to apply today. KBR Construction: For career opportunities, fill out the KBR Construction online application. Consolidated Edison: Visit the job application for Consolidated Edison to apply today.